This is the South Steyne Floating Restaurant in Darling Harbour, New South Wales. We went to the Sydney Tower today, where the view of this ship and the city are fantastic. 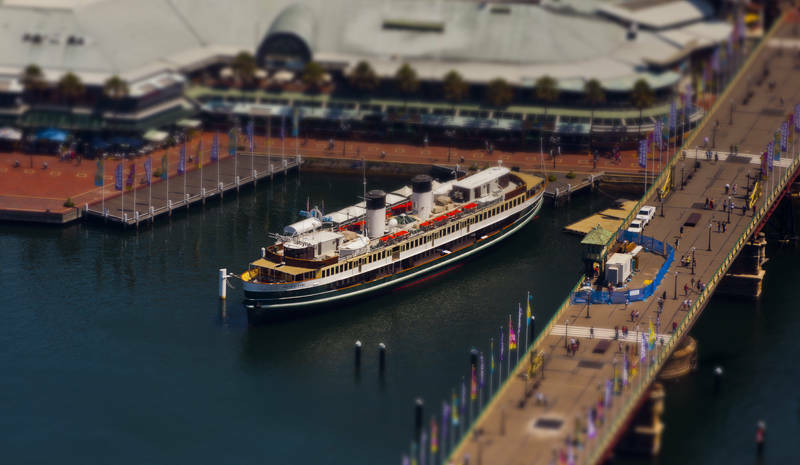 I used Tilt-Shift to create the miniature effect on this former ferry.